We are blessed with 2 kickass outdoor decks. We haven’t made the greatest use of it. 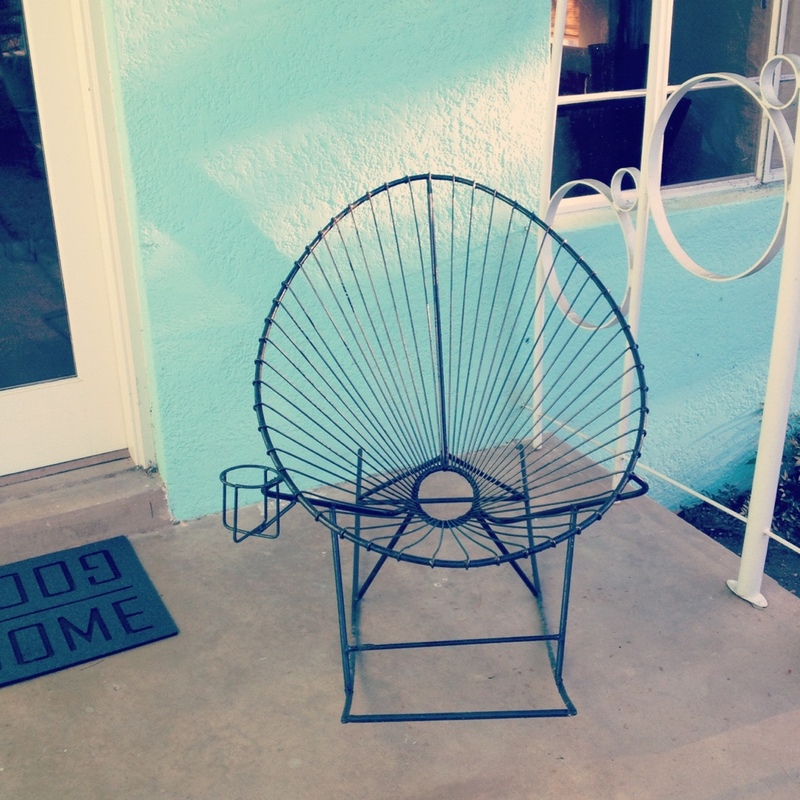 We picked up 5 of these Acapulco chairs. Here is one on our front porch. And then 4 on our rooftop deck. I even planted a key line tree from which I can source limes for my drinks. I buy too many limes every weekend. 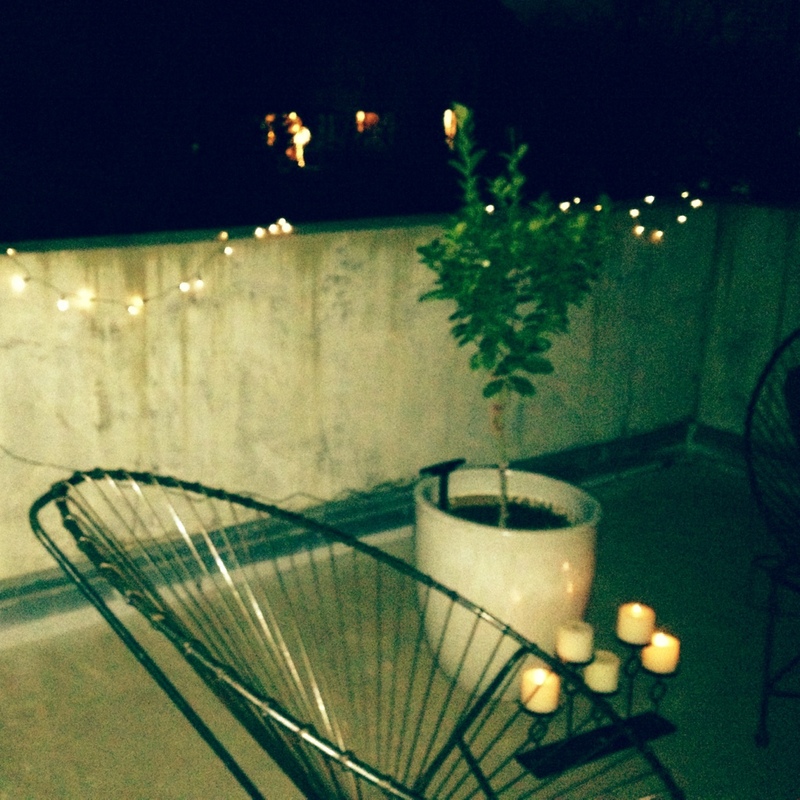 We had a little date on the patio. This weekend, I will hang globe lights. I adore those chairs. Some super cool bright cushions for gorgeous summer nights sipping mojitos and your good to go! It’s not even Spring and it’s already coming together! Loving the set up and those delicious chairs. 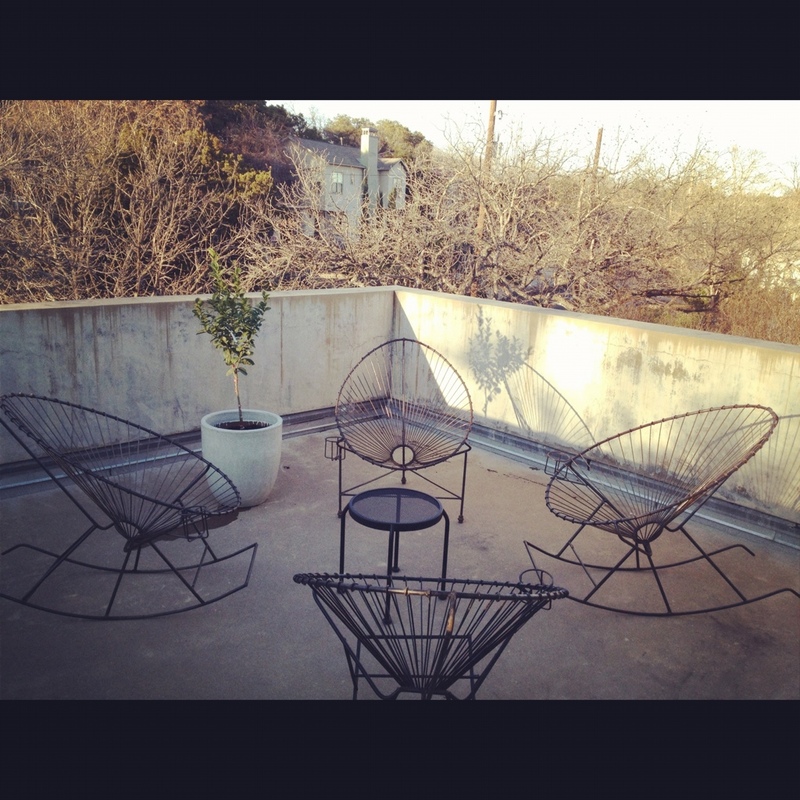 I envision you having many summer gatherings on that decked out rooftop.